Today I welcome the wonderful Jane Henry to my blog. Jane has been writing since her early teens, dabbling in short stories and poetry. When she married and began having children, her pen was laid to rest for several years, until the National Novel Writing Challenge (NaNoWriMo) in 2010 awakened in her the desire to write again. That year, she wrote her first novel, and has been writing ever since. In 2012, she became interested in the d/s lifestyle, and has discovered her love for writing romance with a d/s twist. With a houseful of children, she finds time to write in the early hours of the morning, squirreled away with a laptop, blanket, and cup of hot coffee. Years ago, she heard the wise advice, “Write the book you want to read,” and has taken it to heart. She sincerely hopes you also enjoy the books she likes to read. 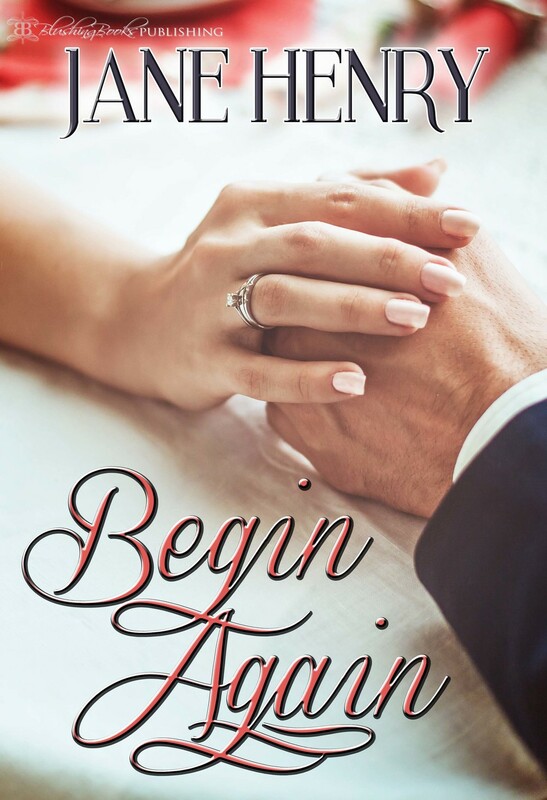 Jane’s book, Begin Again, was released by Blushing Books on February 16, 2016. Look at that cover! Doesn’t it make you want to jump right into the story? I'm currently working on three novels. I don't know if I've ever been working on three at the same time, but one is a co-written book, another so intense I can only write in fits and starts, and another historical romance that is my first historical, and a completely different tact for me because it's the first time I've written both first person and historical. Give us an insight into your main character in Begin Again. In this novel, Meredith is someone that I think is a very relatable character. She craves deeper intimacy with her husband, but doesn't really know how to get that, and she's also erotically and emotionally drawn to being taken in hand. It all depends. My current WIP, the historical, is requiring more research than I've ever had to do. I finally checked a bunch of books out of the library and have been gleaning everything I can about pioneers, wagon travel, and the like. Yes! Maisy Archer is a very dear friend of mine, and we're finishing up our third co-written novel together. It's SO fun and I highly recommend this approach. We have our first co-written novel coming out with Blushing Books later this year, and a second in the series we're finishing now.